North of Scotland GP Training: Achieving success in the AKT and an amazing lunch at GPST2 Induction! Achieving success in the AKT and an amazing lunch at GPST2 Induction! 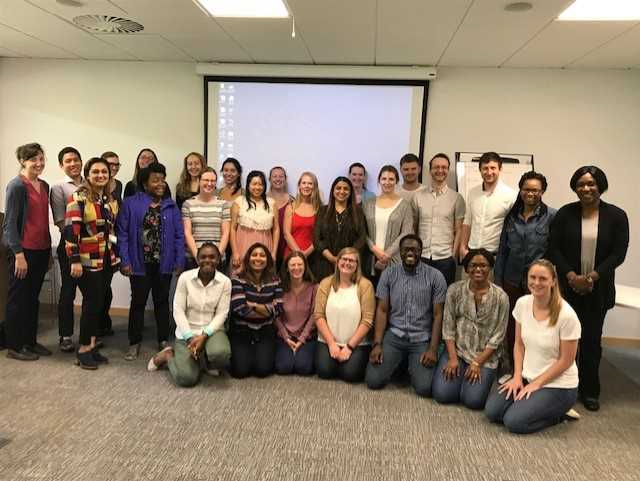 Induction time brings a chance for the ST2 trainees to all catch up from their hospital posts, and there was certainly plenty of chat and laughter to suggest they were making the most of the opportunity. The ST2s were put through their paces in the morning trying out some mock AKT questions during a session focussed on achieving success in the AKT. This session was led by Dr Sally Harkness, GP and RCGP examiner and it was well received by all the trainees with great interaction during the question debrief. The feedback shows the lunch provided by the RCGP was “Great!” and there was certainly lots of great networking and socialising as the ST3s had arrived for their CSA session. It was great to see the interaction between all the trainees from both year groups. After lunch they had informal interactive sessions to support their journey through the rest of the year. With opportunities to ask questions and receive valuable information they left, fuelled with resources to help them achieve success this year.